فلاحتی علی آبادی, صابر, طاهر, سید عباس, حاجی‌اکبری فینی, مسعود. (1395). طراحی کنترل‌کننده Fuzzy – PID بهینه شده با الگوریتم رقابت استعماری جهت کنترل سیستم AVR. مجله علمی-پژوهشی رایانش نرم و فناوری اطلاعات, 5(4), 66-75. صابر فلاحتی علی آبادی; سید عباس طاهر; مسعود حاجی‌اکبری فینی. "طراحی کنترل‌کننده Fuzzy – PID بهینه شده با الگوریتم رقابت استعماری جهت کنترل سیستم AVR". مجله علمی-پژوهشی رایانش نرم و فناوری اطلاعات, 5, 4, 1395, 66-75. فلاحتی علی آبادی, صابر, طاهر, سید عباس, حاجی‌اکبری فینی, مسعود. (1395). 'طراحی کنترل‌کننده Fuzzy – PID بهینه شده با الگوریتم رقابت استعماری جهت کنترل سیستم AVR', مجله علمی-پژوهشی رایانش نرم و فناوری اطلاعات, 5(4), pp. 66-75. فلاحتی علی آبادی, صابر, طاهر, سید عباس, حاجی‌اکبری فینی, مسعود. طراحی کنترل‌کننده Fuzzy – PID بهینه شده با الگوریتم رقابت استعماری جهت کنترل سیستم AVR. مجله علمی-پژوهشی رایانش نرم و فناوری اطلاعات, 1395; 5(4): 66-75. در این مقاله به روش جدیدی برای کنترل سیستم AVR پرداخته شده است. در این روش از کنترل‌کننده Fuzzy-PID برای کنترل سیستم AVR استفاده شده بطوریکه این کنترل‌کننده دارای چهار پارامتر می‌باشد که برای تعیین آنها از روش بهینه‌سازی و الگوریتم رقابت استعماری که به دلیل سرعت و دقت بالا مورد توجه محققین قرار گرفته، استفاده شده است. با استفاده از این کنترل‌کننده می‌توان سیستم را به طور موثرتری کنترل نمود. برای نشان دادن کارایی کنترل‌کننده پیشنهادی، شبیه‌سازی‌هایی در محیط برنامه MATLAB انجام شده و نتایج بدست آمده با نتایج حاصل از کنترل‌کننده‌های FOPID و PID مقایسه شده است. نتایج حاصل از شبیه‌سازی‌ها کارایی کنترل‌کننده پیشنهادی را نشان می‌دهند. Finch J., Zachariah K., Farsi M.., "Turbogenerator self-tuning automatic voltage regulator", Energy Convers IEEE Trans, 1999, Vol. 14, No. 3, pp. 843–8. Ibrahim A., Hogg B., Sharaf M., “Self-tuning automatic voltage regulators for a synchronous generator”, Contr Theor Appl IEE Proc D, 1989, Vol. 136, No. 5, pp. 252–60. Flynn D., Hogg B., Swidenbank E., Zachariah K., “Expert control of a self-tuning automatic voltage regulator”, Contr Eng Pract, 1995, Vol.3, No.11, pp. 571–9. E.S. Ali, S.M. Abd-Elazim, “Coordinated design of PSSs and TCSC via bacterial swarm optimization algorithm in a multimachine power system”, Int J Electr Power Energy Syst, 2012, Vol.36, No. 1, pp. 84–92. Shaw B, Banerjee A, Ghoshal S, Mukherjee V., “Comparative seeker and bioinspired fuzzy logic controllers for power system stabilizers”, Int J Electr Power Energy Syst, 2011, Vol. 33, No. 10, pp. 1728–38. Talaat HEA, Abdennour A, Al-Sulaiman AA., “Design and experimental investigation of a decentralized GA-optimized neuro-fuzzy power system stabilizer”, Int J Electr Power Energy Syst, 2010, Vol. 32, No. 7, pp. 751–9. 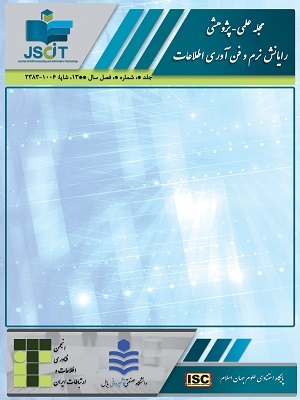 Mostafa HE, El-Sharkawy MA, Emary AA, Yassin K., “Design and allocation of power system stabilizers using the particle swarm optimization technique for an interconnected power system”, Int J Electr Power Energy Syst, 2011, Vol. 34, No. 1, pp. 57–65. Gaing ZL., “A particle swarm optimization approach for optimum design of PID controller in AVR system”, Energy Convers IEEE Trans, 2004, Vol. 19, No. 2, pp. 384–91. Selvabala B, Devaraj D., “Co-ordinated design of AVR-PSS using multi objective genetic algorithm”. Swarm Evol Memet Comput LNCS 010;6466/2010, pp. 481–93. Kim DH., “Hybrid GA-BF based intelligent PID controller tuning for AVR system”, Appl Soft Comput, 2011, Vol. 11, No. 1, pp. 11–22. Chatterjee A, Mukherjee V, Ghoshal S., “Velocity relaxed and craziness-based swarm optimized intelligent PID and PSS controlled AVR system”, Int J Electr Power Energy Syst, 2009, Vol. 31, No. 7–8, pp. 323–33. Zhu H, Li L, Zhao Y, Guo Y, Yang Y., “CAS algorithm-based optimum design of PID controller in AVR system”, Chaos Solit Fract, 2009, Vol. 42, No. 2, pp. 792–800. Parniani M., “An Optimal Fractional Order Controller for an AVR System Using Particle Swarm optimization Algorithm”, Power Engineering, 2007 Large Engineering Systems Conference on, pp. 244- 247. Tang Y, Cui M, Hua C, Li L, Yang Y., “Optimum design of fractional order PIλDδ controller for AVR system using chaotic ant swarm”, Exp Syst Appl, 2012, Vol. 39, No. 8, pp. 6887–96. Zamani M., Karimi-Ghartemani M. Sadati N., Parniani M., “Design of a fractional order PID controller for an AVR using particle swarm optimization“, Control Engineering Practice 17 (2009) 1380–1387. Bevrani H., Daneshmand PR., “Fuzzy logic-based load–frequency control concerning high penetration of wind turbines”, Syst J IEEE, 2012, Vol. 6, No. 1, pp. 173–80. Sinha S, Patel R, Prasad R., “Application of AI supported optimal controller for automatic generation control of a restructured power system with parallel AC–DC tie lines”, Eur Trans Electr Power, http://dx.doi.org/10.1002/etep.595. Woo Z., Chung H., Lin J., “A PID type fuzzy controller with self-tuning scaling factors” Fuzzy Sets and Systems, 2000, Vol. 115, pp. 321-326. Driankov D., Hallendoorn H., Reinfrank M., “An introduction to fuzzy control”, Springer-Verlag, Berlin, 1993. Podlubny I., “ Fractional-order systems and PIλDδ Controllers”, IEEE Trans. Automatic Control,1999, Vol. 44, No. 1, pp. 208-214. Petras I., “The fractional order controllers: methods for their synthesis and application, Journal of Electrical Engineering”,1999 Vol. 50, No. 9-10, pp. 284-288. Vinagre B.M., Podlubny I., Dorack L., Feliu V., “On fractional PID controllers: a frequency domain approach. In: Proceedings of IFAC Workshop on Digital Control-PID”, Terrassa, Spain, 2000. Dorcak I., Petras I., Kostical I., Terpak J., “State-space controller design for the fractional-order regulated systems”, In: Proceedings of the ICCC2001, Krynica, pp. 15-20, 2001. Chengbin M., Hori Y., “The application of frational order PID controller for robust two-inertia speed control”, In: Proceedings of the 4th International Power Electronic and Motion Control Conference, Xi’an, 2004. Vale´ rio D., Sa´ da Costa J. “Time-domain implementation of fractional order controllers”, IEE Proc.-Control Theory Appl.,2005 Vol. 152, No. 5, pp. 539-552. Karami A., Rezaei E., Shahhosseni M., Aghakhani M., “Optimization of heat ransfer in an air cooler equipped with classic twisted tape inserts using imperialist competitive algorithm”, Experimental Thermal and Fluid Science, 2012, Vol. 38, pp. 195-200. Kaveh A., Talatahari S., “Optimum design of skeletal structures using imperialist competitive algorithm” Computers&Structures, 2010, Vol. 88, No. 21-22, pp. 1220-1229. Atashpaz-Gargari E., Lucas C., “Imperialist Competitive Algorithm: An algorithm for optimization inspired by imperialistic competition”, IEEE Congress on Evolutionary Computation, 2007, pp. 4661–4667.